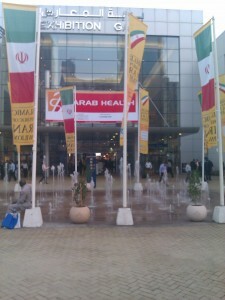 Dr. Gerry presents at ARAB HEALTH 2011! 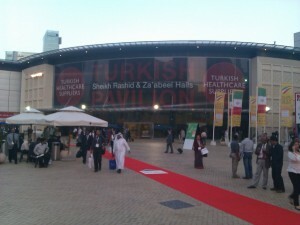 On January 26th, 2011, our very own Dr. Gerry Nastasia was invited to present ‘A Overview on the Effectiveness of Manual Therapy’ at ARAB HEALTH 2011, which ran from the 24th-2th of January at the Dubai International Convention and Exhibition Centre. The 7th Middle East Orthopaedics Conference is an annual 3 day event aimed at those in the field of orthopaedics. This conference assembled a faculty of leading internationally, regionally and locally known experts to discuss, debate and demonstrate advanced technologies and techniques for treating the most common conditions across a variety of subspecialties. Delegates got the chance to hear presentations and participate in panel discussions which featured the very latest advances to help doctors improve patient outcomes. Previous PostPrevious S.O.S. Save Our Spines!! Next PostNext S.O.S at Mall Of The Emirates!